Run by the industry for the industry, BMC focuses on innovation, education and the key issues facing the electronic and dance music sector. Attended by thousands of experienced music industry professionals and the next generation of DJs/producers, BMC enables attendees to form new business partnerships, showcase products and expand existing networks. It is the UK’s annual opportunity for the industry to meet face to face, share knowledge, and build new opportunities. BMC17 will bring together Industry-leading delegates and speakers at over 50 talks, seminars and workshops, alongside networking events throughout the conference duration. 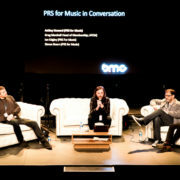 BMC Professional connects music with business, bringing together industry thought leaders through a series of panels to discuss the future sustainable growth of the Electronic Music Industry, targeted networking events and access to an evening schedule of events and parties across Brighton. BMC Academy is about plugging in the next generation and fostering new talent via a series of master classes, panels and talks. Both tickets give access to the two-day exhibition featuring tech showcases, panels and interviews. The specialised exhibition hall will feature the scene’s best suppliers, technology companies, and service providers. Club nights hosting world-class artists and DJs at the city’s finest venues will take place across Thursday, Friday, and Saturday. BMC17’s official charity partner is Last Night A DJ. The first conference programme details will be revealed soon. 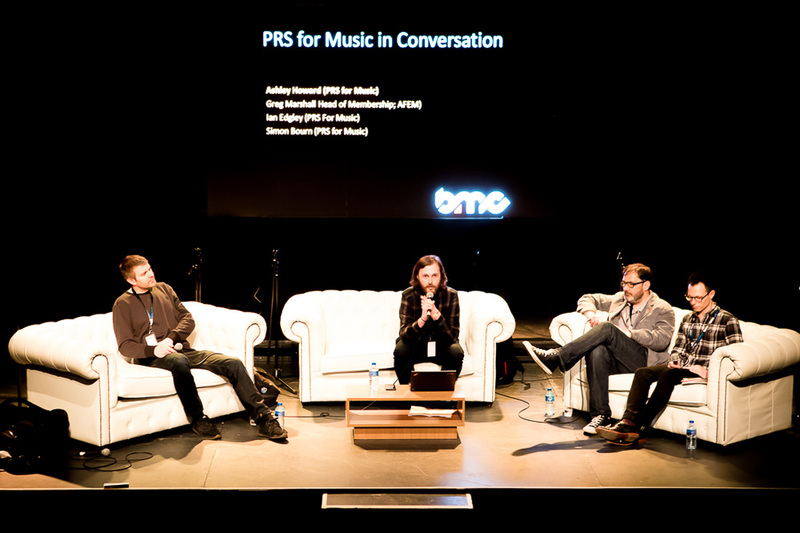 BMC16 saw attendance substantially increase once again, attracting thousands of industry professionals and those looking to make a career within the music business. BMC16 talks and panels featured speakers from Facebook, Instagram, Twitter, Periscope, Vine, Spotify, Kobalt, Native Instruments, Beatport, Coda, AFEM, NTIA, Mixcloud, Toolroom, Hospital, Believe Digital, Pioneer, Korg, Roland, PRS, BIMM, AEI Media, Shogun Audio, GAK Audio, Wunderground, and many more, with the conference programme split between the professional and academy theatres. In addition to housing the BMC Demonstration Igloo installation, the exhibition floor featured brands, organisations, and education providers including Korg, the Gak Playground (with Pioneer, Steinberg, SCV, Focusrite, Novation, Native Instruments, Ableton, and Focal), Roland, Yamaha Music Europe, DJ Mag, Northbrook College, Dubzoo, Horus Music, ACS Custom, Mansworld, BIMM, CM Sound, PRS For Music, Element 5, Next Audio Labs, Sound On Sound magazine, Wax Unity, Traction Sound, Help Musicians UK, Nova Distribution, Eve Audio, Warm Audio, Dreadbox, Chandler, Fredenstein, EMTO, Evolution Domes, and K&S Technology. Native Instruments’ Native Sessions platform ran Production Seminars in the Founders Room and Production Workshops in the Mezzanine Bar on both days, with workshops, demonstrations, and talks covering Maschine, Komplete Kontrol, Loopmasters, Moog, SSR’s Reaktor course, and much more. 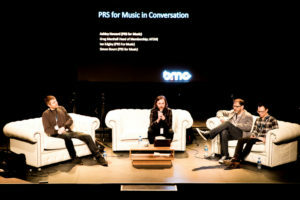 Interviewees included electronic music legend, Tom Middleton, Henry Cross – the technical mastermind behind live stage shows from Massive Attack and the Chemical Brothers, and Pete Boxsta, while further artists who gave an insight into their creative process included Kirk Degiorgio, Icicle, Prolix, Ulterior Motive, Capsun, Hannah V, and Prime Cuts. The nighttime schedule saw official BMC events including the BMC Afterparty with Take featuring Seth Troxler at The Arch, and Wunderground Bingo on Brighton Pier on the Thursday. Mute, in association with BMC, took over Brighton’s Patterns on the Friday for a show with Mala, Commodo, and Foamplate. The same night also saw English Disco Lovers & BMC present Crazy P Soundsystem at Komedia, and Wiggle and On The House teamed up to present their annual Brighton Music Conference party by the sea.